As a content manager and creative journalist, I generally enjoy all aspects of my job. Today, regretfully, I cannot say the same. Today, I must report to you the passing of a young man who did not live long enough to become what we traditionally concede to be a legend of the poker community. Chad Batista, known better among the online poker world as “lilholdem954”, has passed away at the far-too-young age of 34. After suddenly being admitted to ICU earlier this week, Batista lost a brief battle with devastating health issues Thursday, August 20, 2015. The nature of his declining health has not been confirmed, but speculations point to a diseased liver; the direct result of frequent and exorbitant alcohol abuse. Standing 5 feet, 6 inches tall and slight of build, Chad may not have been a dominating figure up close, but as an online poker player, his persona was one of commanding size. In the years leading up to Black Friday (April 11, 2015), the young man from Coral Springs, Florida was largely regarded as the most fearsome foe you could ever tangle with on the virtual felt. Under a pair of well known monikers, “M8kingmoves” and “lilholdem954”, Batista grinded the tables of PokerStars and Full Tilt Poker regularly in those days, harvesting untold amounts at the cash tables and destroying the competition at online tournaments. 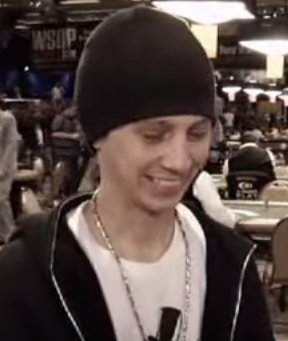 Although Chad wasn’t a huge fan of them, he also pocketed $952,496 in live tournaments since 2006. When Black Friday struck, Chad Batista had to make the difficult decision that so many US poker players were faced with. He elected to move out of the country to continue playing poker online. But instead of heading overseas, Chad chose to move to Mexico, keeping him moderately close to his hometown in Southern Florida and allowing him the opportunity to bring his beloved dogs, Bluff and Gamble, with him. Louise Batista explained Chad’s dislike of live poker games, saying he found them “too slow-paced, and he didn’t like the crowds.” But in terms of proficiency, there was no lacking for skill. “He never read a poker book, never figured out pot odds or anything. He just had an aggressive game, and if he lost it, he took the hit,” Chad’s aunt said. Chad learned to play as a young boy from his grandmother, but he never pursued the game until a friend offered to stake him $50 to play poker online. Before long, he was multi-tabling like nobody’s business, playing up to 12 tables at a time and crushing the competition. From August 2007 to July 2008, Chad’s impressive skills earned him the rank of #1 online poker player in the world. He even provided coaching for up and comping players, and according to Louise, helped to train the most decorated Olympic gold medalist in the world, Michael Phelps, after his 2008 performance in Beijing. Chad’s life was not the smoothest, by far, earning him a lengthy police record. According to Broward County court records, he’d been in trouble with the law on multiple occasions for everything from public intoxication and trespassing to battery and probation violation. His Aunt Louise described him as “complicated, but easy all at the same time”. And according to the throng of mournful threads and posts regarding his passing, everyone who knew him personally found him to be much more affable in person than his online character purveyed.